FoamFlex200 is an innovative, patented oil absorbent technology for hydrocarbons and their derivatives. The product is an open-cell oleophilic polyurethane foam with a hydrophobic effect greater than 95%. This allows the intact recovery of spilled hydrocarbons with less than 5% water. It can absorb about 30 times its own weight of any hydrocarbon. Using a wringing process, FoamFlex200 can be reused over 200 times. One kilogram (1 kg) FoamFlex200 can absorb about 6 tons of hydrocarbons. 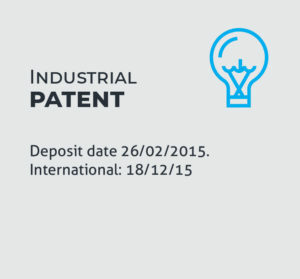 the product is covered by an international patent. 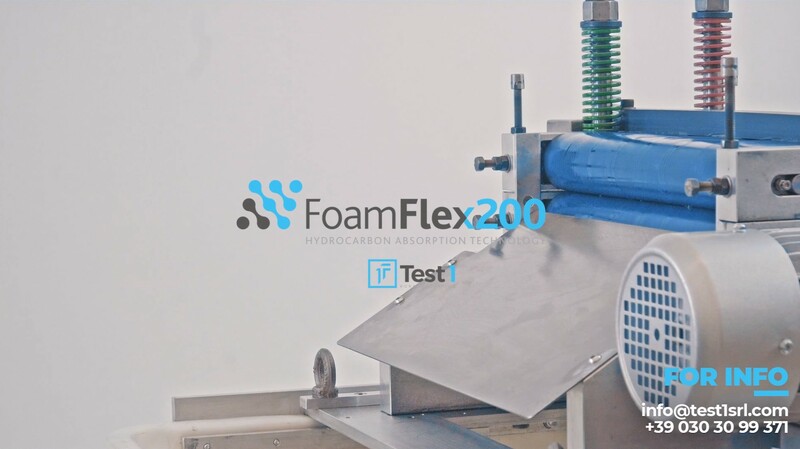 FoamFlex200 has received a series of certifications from accredited associations and bodies. Thanks to its performance and its ability to be reused, FoamFlex200 exponentially reduces the amount of absorbent material required for the reclamation of oil spills. Similarly, disposal costs are cut drastically. The amount of material requiring disposal is reduced more than 200 times. The hydrophobic effect eliminates the unnecessary cost of water disposal. FoamFlex200 retains constant performance each time it is reused. The product’s effectiveness has been demonstrated under all weather conditions. When there are rough seas, the waves’ kinetics improves the material’s absorption. 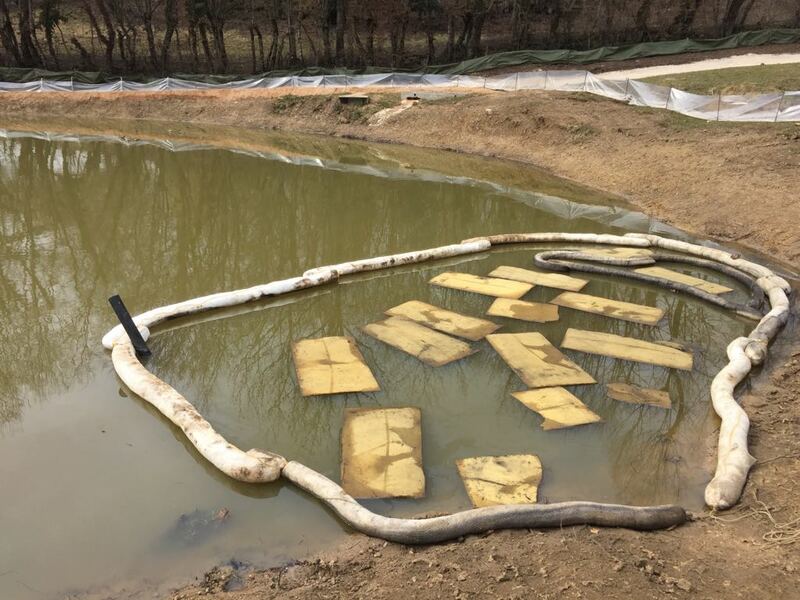 FoamFlex200 can be left in the water for days and recovered when the weather conditions improve, thanks to its ability to retain the spilled hydrocarbons. The estimated time for saturation is just a few minutes. 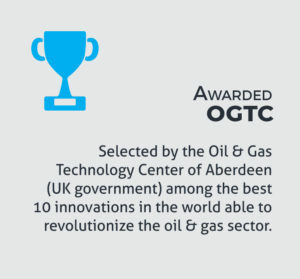 This allows areas polluted by oil spills to be reclaimed in a short time. The product’s effectiveness has been demonstrated under real conditions, even for high-density oils. FoamFlex200 is a versatile product. It can be used in any geographic area, under any weather conditions and with any type of spilled oil. The product lends itself to being used effectively in any tier spill. The material is wrung using special machinery engineered by Test1, capable of wringing up to 180 liters/minute (manual, electric and pneumatic wringer). FoamFlex200 is features very high tensile strength. FoamFlex200 is a particularly effective response method thanks to its saturation time of just a few minutes, the possibility of absorbing large quantities of hydrocarbons with a small amount of product, its compact size and its ability to be effective in any geographical area and any conditions in which the spill occurs (weather conditions and viscosity of the spilt hydrocarbon). These characteristics allow the product to be stored easily on any facility or on any vessel or platform, for rapid use as initial means of response. FoamFlex200 has been used successfully in real-world situations to resolve several oil spills around the world. 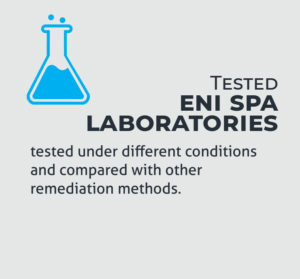 The product’s performance, emphasized by laboratory tests, has been confirmed under real conditions. 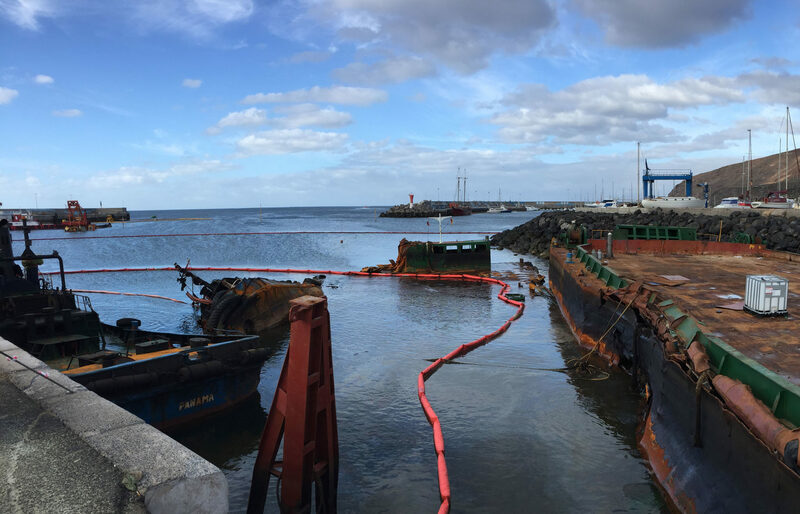 Storm Emma hit Fuerteventura at the end of February 2018, caused many barges and vessels that were moored at Gran Tarajal port to sink. The sunken fleet spilled 150 tons of different types of oils forcing the activation of the Pecmar (level 3). The entire reclamation operation was completed with 70 Kg of FoamFlex200 and two manual wringers. FoamFlex200 has allowed a quick and effective clean up. 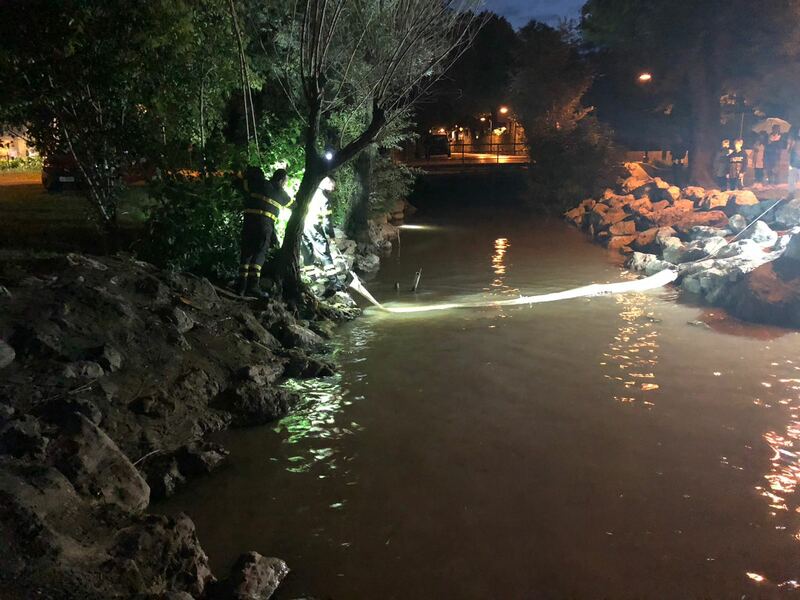 In March 2018, a lake inside a nature reserve was polluted with approximately 100 liters of waste oil. Three (3) FoamFlex200 pads were sufficient to clean up the pollution in just a few hours. 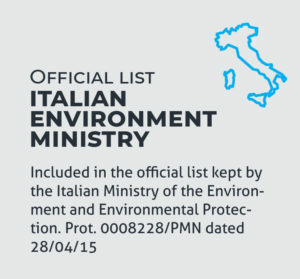 In September 2018, an oil spill occurred on Lake Garda due to a tank that was not closed properly. The firefighters of the NBCR squad cleaned up the pollution in just a few hours using FoamFlex200. 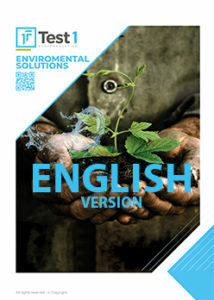 Respect for the environment! FoamFlex200 is a 100% GREEN product, from production, to use, and through disposal. 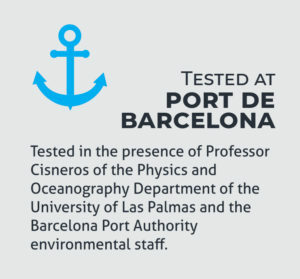 Unlike other cleaning methods, this product does not harm marine fauna or flora, does not present any degree of toxicity to living organisms, and is also safe for human health. FoamFlex200 is reusable and at the end of its life cycle can be disposed of or regenerated. In addition to the different models of wringers, Test 1 has engineered a special dredger for the reclamation of water basins. The dredger is composed of a double hull equipped with oil collection tanks with a capacity of about 2.5 Ton, which can be downloaded by pump in any kind of tank. The boat is 6 meters long and 2.5 meters wide in order to be easily stored inside containers. Inside the boat there is a removable wring block in order to easily replace the continuous tape of FoamFlex200 material, once saturated. The dredger is equipped with a special water level regulation system and a pump for separating the residual water from the stored oil. The dredger is equipped with two propeller engines and can be controlled by an operator on board, remotely controlled or can move independently by GPS location. Research for FoamFlex200 is based on the company’s desire to supply the oil and gas market with an innovative, efficient and effective product for the reclamation and prevention of oil spills. The product is suitable for routine activities also, such as washing tanks and tankers. 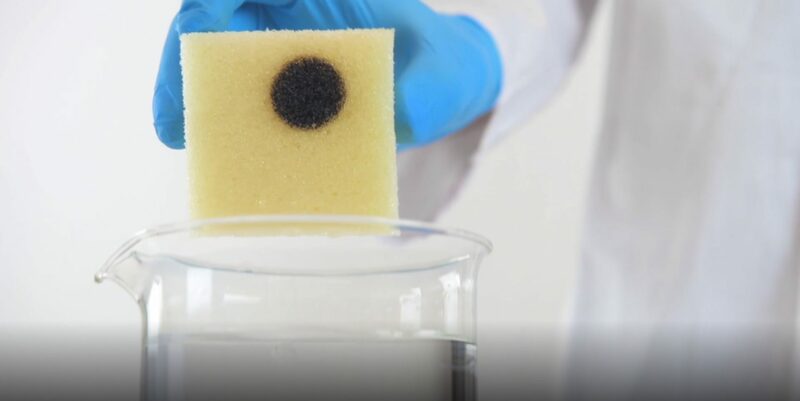 Its oleophilic and hydrophobic properties allow a series of alternative technology applications in industry. Among these, the FoamFlex200 formulation has proven extremely effective in the filtration of water polluted by various oils and hydrocarbons. 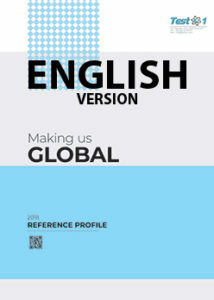 If you want to know more about us you can download our brochure or consult our reference profile!